Tuesday - Friday / 3 p.m. - 7 p.m.
Saturday from 11 a.m - 3 p.m. 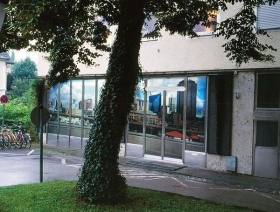 Since its foundation in 1981, the Fotohof in Salzburg has been an important center with widespread activities. 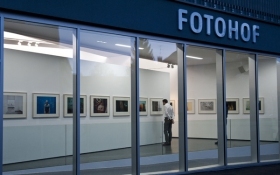 A group of photographers and enthusiasts gathered and worked together to create a space for presenting and discussing art photography; this ambitious concept succeded by founding an “association to support author photographers” (Verein zur Förderung der Autorenfotografie) and because the first Gallery space was in a courtyard, the more descriptive name FOTO-HOF was created; since then, for 26 years, this “collective” structure has been the same and Fotohof has been working in the field of national and international art photography. The Fotohof today is located in the new build Salzburg city district called Stadtwerk Lehen. 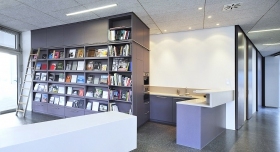 The gallery consists of two ground level exhibition spaces with 140 square meters and 60 square meters for the library. Attached to the library and the exhibition halls are display spaces for our book and portfolio editions and the offices. FOTOHOF Salzburg is the most active place in Austria with wide international reputation. We organize an international exhibition program (seven to ten exhibitions each year). Selecting from a broad field of artistic photography, the Fotohof focuses not only on contemporary Austrian but also on international photographically based art. Since 1981 we have organized about 350 exhibitions, 50% of all artists shown came from Austria, 27% from Western Europe, 13% from Eastern Europe and 10 % from the rest of the world. 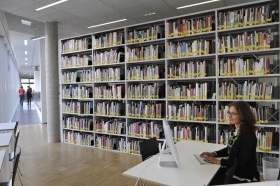 We are proud to provide Austrias largest and best sorted public library for photography with more than 10 000 titles and catalogs. Every year the library grows by approximately 350-400 books. We subscribe to 20 national and international art and photography magazines. The complete literature information is available in a database and fully searchable on our website. 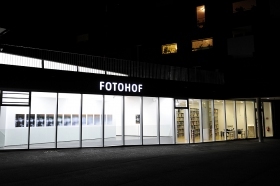 Fotohof edition is part of Fotohof Salzburg, a non profit organisation founded in 1981 that is devoted to promoting contemporary art photography. The edition specializes in publishing monographs of European photographers with an emphasis on Austrian and German artists. Within the past decade, more than 200 titles have been released and distributed internationally. 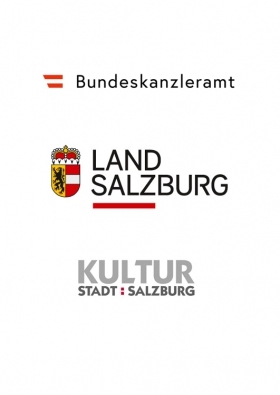 As a kind of Kunstverein we are proud to have app. 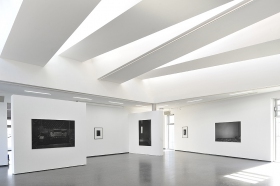 7.500 visitors each year and the highest number of website visitors of all Austrian photo institutions. 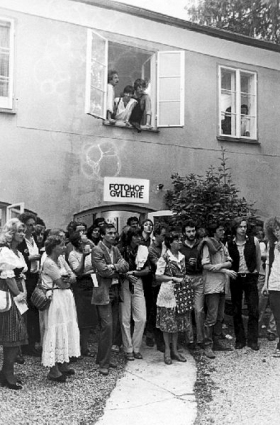 Regarding the Internet: Fotohof has been one of the first art institutions in Austria to present itself on the web, all our work can be followed on a huge databased website with a searchable library, 850 artists biographies and detailed exhibition reviews since 1996 with text and hundreds of images: www.fotohof.at. Regarding press and PR, we follow a strict and successful method, covering approximately 100 direct connections to media and journalist to wide ranging web coverage. We also advertise in several international magazines such as Camera Austria and Photography Now. 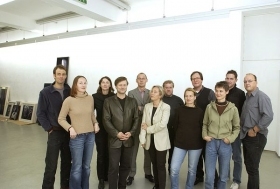 Brigitte Blüml, Rob Fish, Rainer Iglar, Kurt Kaindl, Jon Kutolowski, Michael Mauracher, Karin Peyker, Andrew Phelps, Nathalie Phelps, Birgit Sattlecker, Herman Seidl, Gabriele Wagner, Eva Winkler, Elisabeth Wörndl, Eva Mitterndorfer, Anne Bauchinger.